When I first moved to London, I remember making a pledge that I would only ever live in historic buildings. I wasn't interested in living in new builds. No way, no how. I wish I had said the same about hotels. While staying in brand new hotels is fun and quirky and full of nods to contemporary design, I'll take an oldie over a newbie any day of the week. I prefer the words "restored" and "renovated" in press releases announcing new openings, rather than "brand new" or "cool contemporary." Just call me old school Sally. 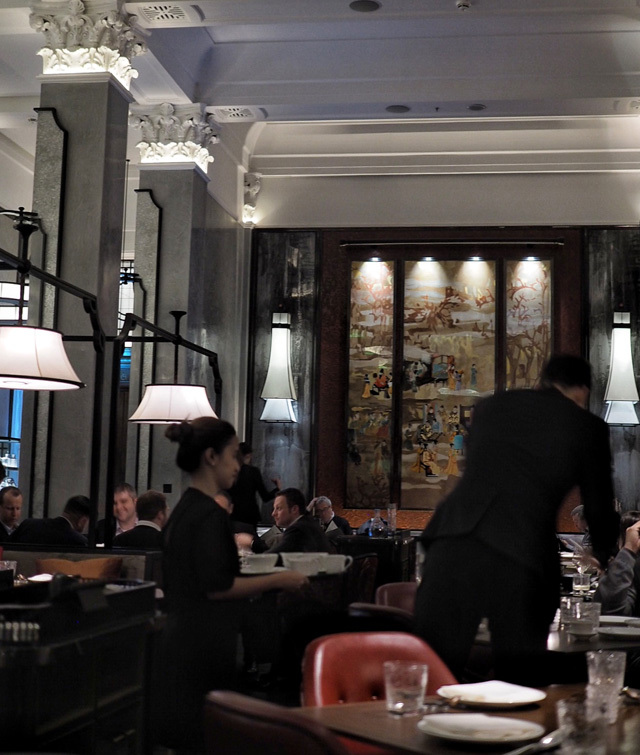 But, I mention this with purpose and with a new launch in mind - the Four Seasons Hotel London at Ten Trinity Square. 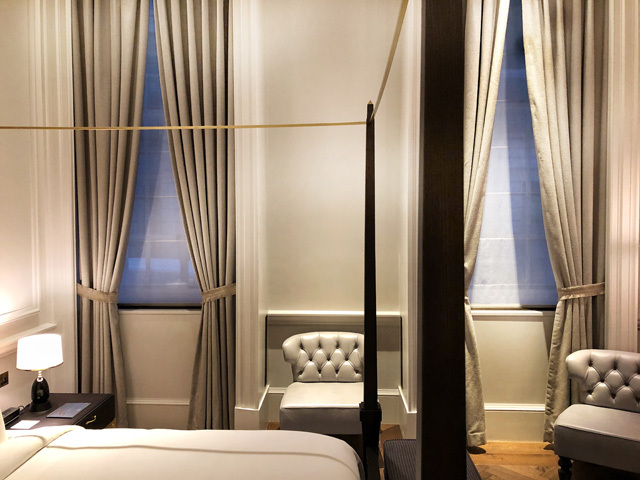 A few years ago, Four Seasons announced their latest launch in their London portfolio, a grade II listed building near the Tower of London. The building dates back to 1922 and was built as the Port of London Authority. At the time of its construction, it was one of London's tallest buildings. In 2017, it is certainly in the shadow of many skyscrapers surrounding it. But, the facade alone has fifty times the personality and class of any glass tower built to it's left, right, front and back. 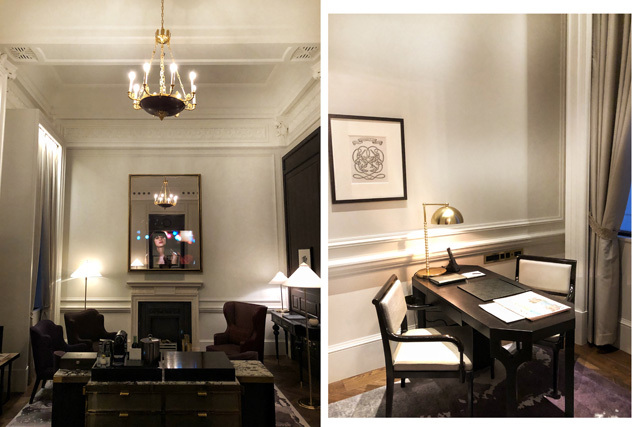 The new Four Seasons Hotel London at Ten Trinity Square is perhaps one of the finest in the Four Seasons collection, not only because of the illustrious history of the building itself, but also because of the incredible care given to restoring this piece of London's architectural history. It felt like ages waiting for the doors to open, but it was worth every single second of patience. 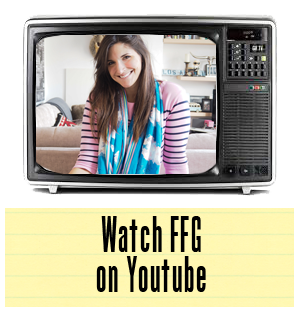 Let me take you around London's latest and greatest. Let me start by saying that your entrance to the Four Seasons Hotel London at Ten Trinity Square is an event in itself. As you pull up to the grand staircase, leading to the columned entrance, you'll feel as if there are paparazzi lurking just around the corner. Surely such an entrance is only fit for a movie star? 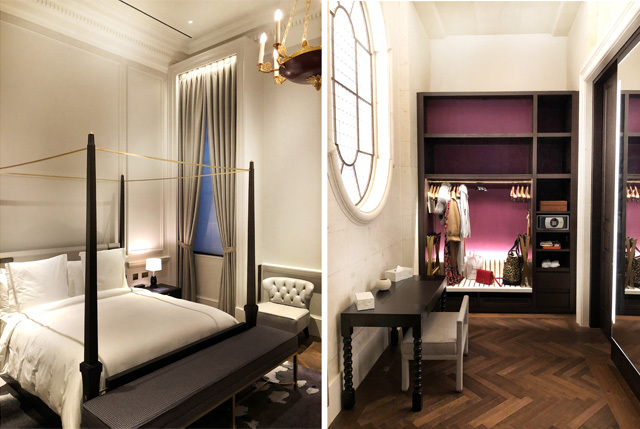 The magic continues as you move through the doors, held ajar by handsomely outfitted men that are always ready to assist with umbrellas, taxis or simple neighbourhood recommendations during your stay. 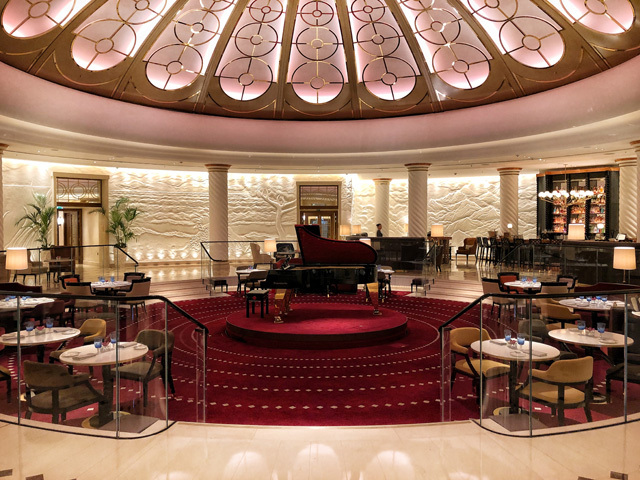 You are almost immediately greeted by a grand rotunda, where you will undoubtedly find yourself sipping champagne later in the evening (trust me, this is unavoidable). 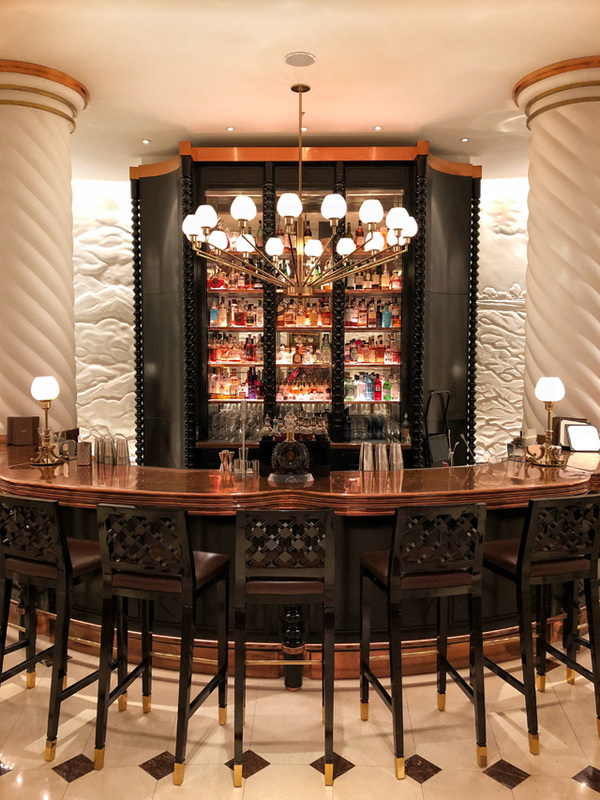 The live music here, combined with a glass of bubbly, good company and a well thought out outfit will make you feel as if you have stepped back in time. I am seriously regretting not bringing a 1920's vintage flapper ensemble. For my night in residence, I stayed in the Pepys suite, which was located a few steps, down a long corridor, from the rotunda itself. It was ground level and close to all the action the hotel has to offer. I was taken to the room by one of the ladies at reception. As she opened the door, I must have said something to the effect of "oh, does this hallway lead to another group of suites?" She responded, quite flatly, "this is YOUR suite's hallway." I looked up, towards the 20 foot ceilings, and down the thirty foot long entrance hallway and laughed the most embarrassing cackle. I imagine this is the same sort of nervous laughter that people let out when they win the lottery. Dear reader, it had felt as if I had won the lottery. I walked down the long corridor, where a bench sat at the end, should you need a rest after your long journey. 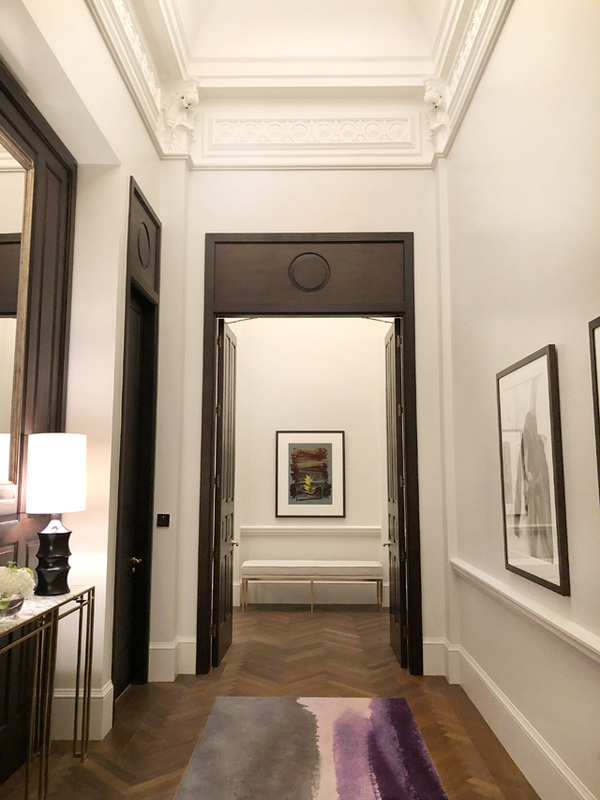 The first set of doors opened onto a living room/ dining room, with plush sofas and arm chairs, a TV that doubles as a mirror and those grand ceilings, that carry on throughout the entirety of the Four Seasons Hotel London at Ten Trinity Square suite. With one switch of a button, I had all the privacy shades down, keeping any onlookers from starring in at this uber-celeb (in my mind only). I skipped around the four poster bed, slipped into my walk in closet, with the most beautiful natural light, and found myself staring down another long hallway. This hallway was to the suite's full bathroom. There's a half bath in the entry way. I approached the bath in a casual manner, opened the door, and was instantly at a loss for words. It was as if I'd discovered Aladdin's Cave. Marble and gold were stretched as far as the eye could see. Yes, just marble and gold. And then, as I turned the corner, the genie revealed itself. In the centre of the far wall there was a bath. This wasn't just any bath. 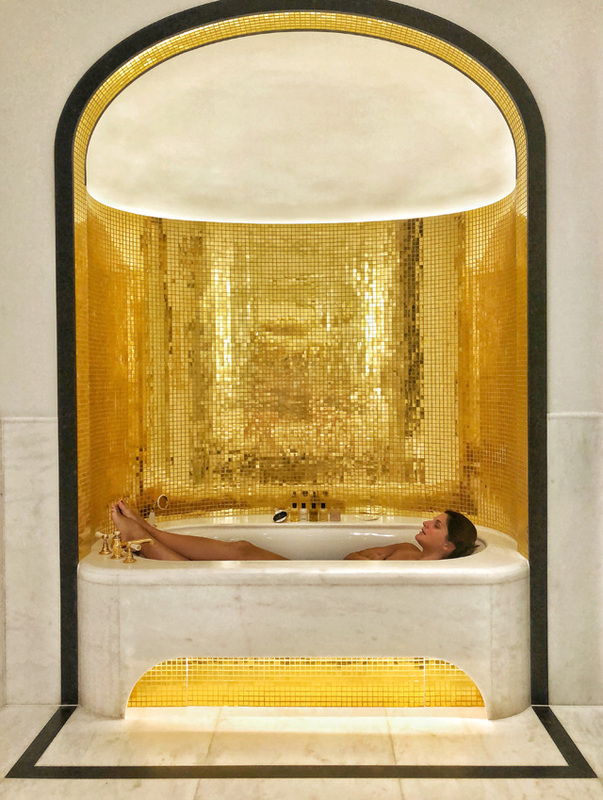 This was a bath decorated with gold tiles of such magnificence they seemed to sparkle for their own amusement. 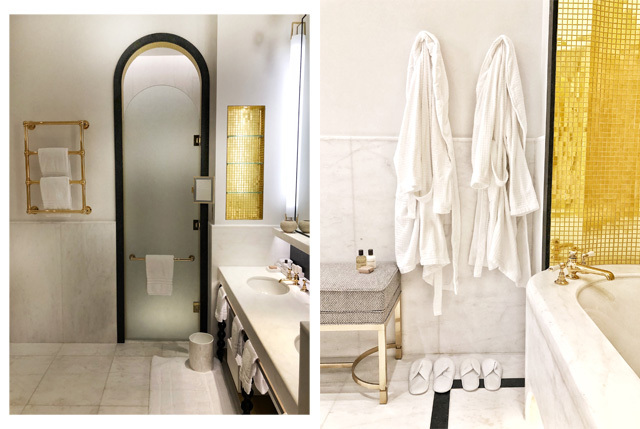 After resting my eyes over every detail in a bathroom, that I imagine will make most members of Royal Families blush, I headed back to the bedroom to try the bed and regroup. 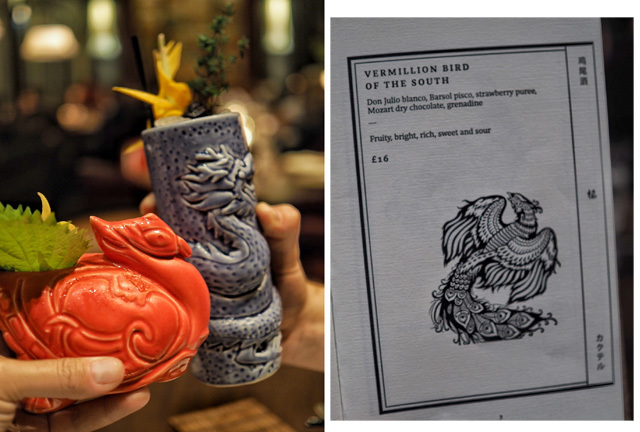 The evening ahead was to feature drinks in the rotunda bar and dinner at Chinese and Japanese restaurant, Mei Ume. For those who wish to eat in their rooms, or experience the joys of French food from a Michelin Starred chef, these options are also available to guests of the hotel. 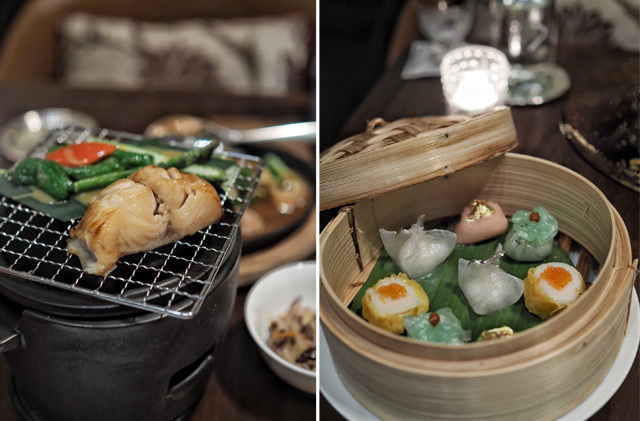 However, I am now a bit biased and must tell you that Mei Ume is a restaurant not to be missed. 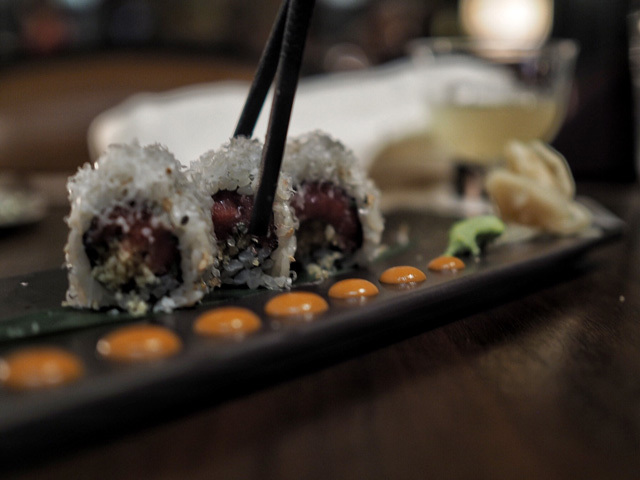 The cocktails alone are worth the trip, but the sushi offering, the perfectly cooked soft shell crab and the roasted black cod are all simply delightful. And the service is impeccable. But then again, this is the Four Seasons, and that's what they are known for. 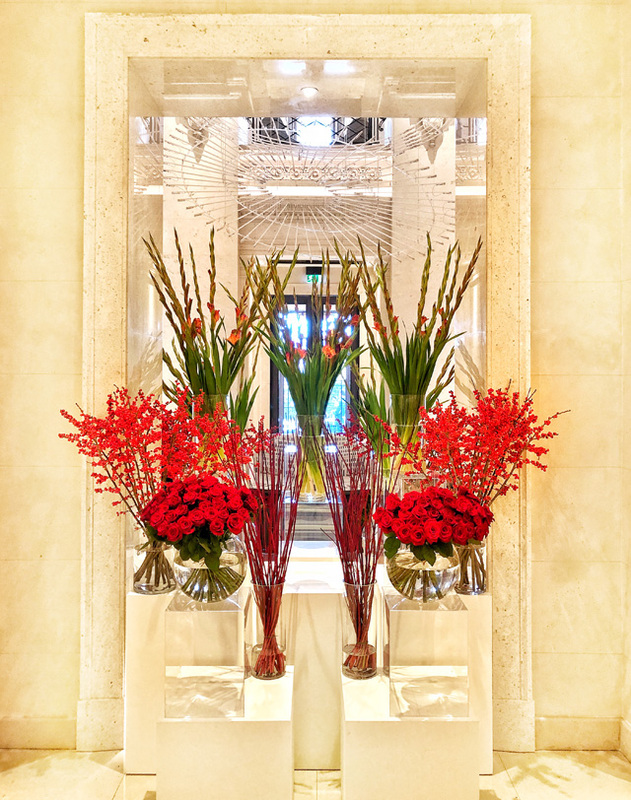 That's something that repeat guests of the Four Seasons have learned to reply upon and they are never left disappointed in any one of their hotels around the world. The Four Seasons Ten Trinity Square is no exception to the rule. After two cocktails, more asian dishes than I can remember, and a very short walk back to the suite, I was sound asleep, with the black out shades down and no alarm set for waking. Room service was delivered promptly for 10am - yes, I was being a complete lay-about! Then, at the stroke of 12, I was down in the spa for a massage. 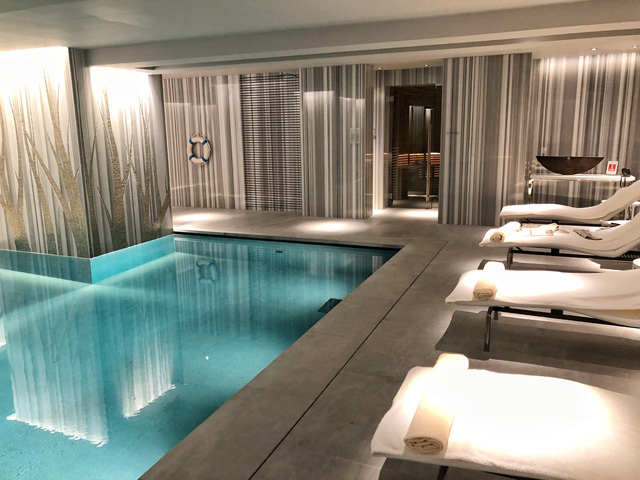 Now, while most international travellers will be used to finding pools in their travels, it should be known that pools in London hotels are few and far between. So, to have one at all is worth a round of applause. 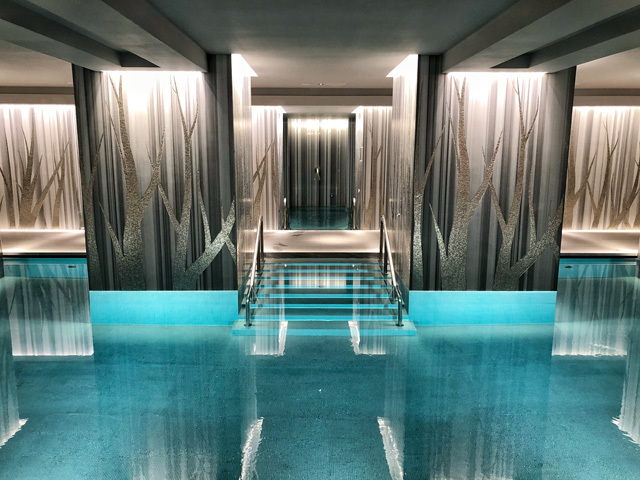 However, the Four Seasons Ten Trinity Square deserves a standing ovation for their spa pool. First of all, it's about twice the size of the average pool found in London. While soaking I found that even with other people in the water, there were spaces to hide and find your peace while dipped in. The pool is also surrounded by a sauna and steam room, amongst other amenities in which to spoil yourself. 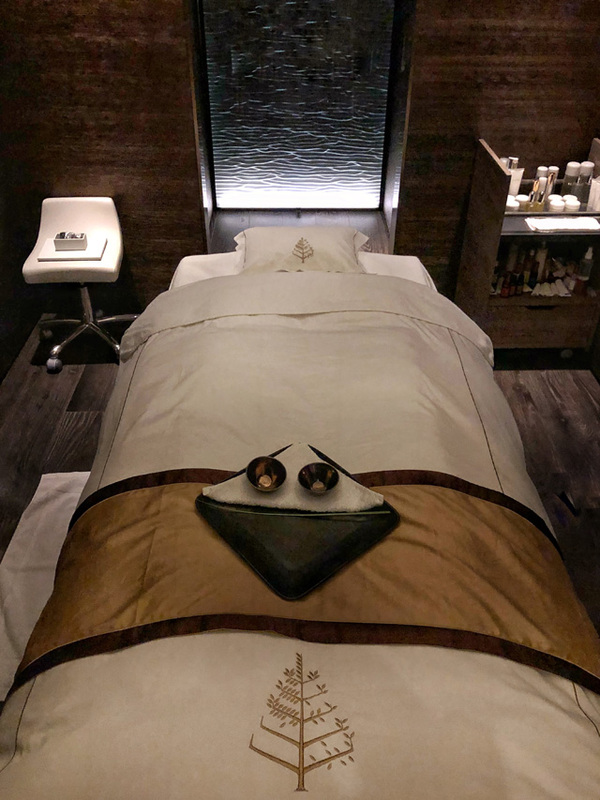 For the ultimate in spoiling, however, you must book a spa treatment. I can now highly recommend the full body massage, as I swanned out of the room, after an hour of intense therapy, walking like a new woman and feeling light as air. I also cancelled any future massages in London and have since decided that this is the place to go should you want a massage that is actually done properly. So, even if you aren't in residence, add this spot to your little black book for the ultimate spa experience. 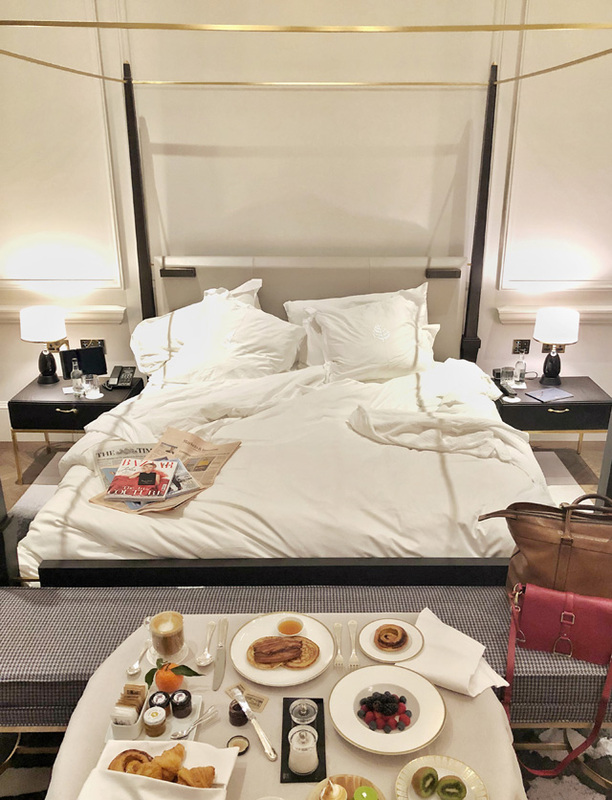 While hotels in London seem to pop up every two minutes, the Four Seasons Ten Trinity Square is most certainly one to take note of to explore. 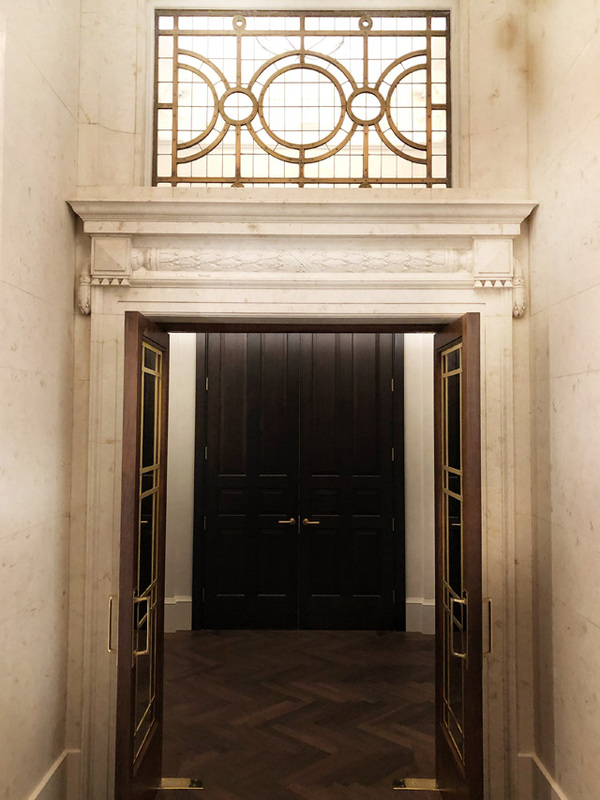 This is a building that has truly been given a second chance at a London life and has been restored with such incredible care that you feel as if you are stepping back in time with a contemporary brand. It is truly an experience not to be missed. Go for dinner, go for a drink. Book a spa treatment or simply stop in for look around the Rotunda. Whatever you do, don't wait for an invitation. Make this happen! 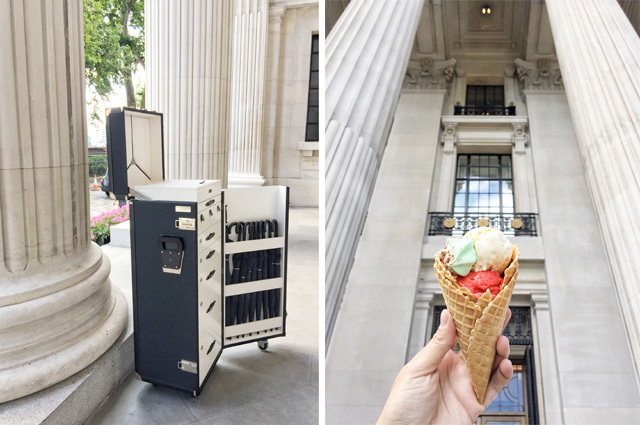 Fashion Foie Gras was a guest of Four Seasons Hotel London at Ten Trinity Square.